How often do you hear the news and feel rather helpless to do anything about it? There are wars and rumors of wars; it has always been like that and apparently will be until Jesus Christ returns in glory. It is tempting to just become apathetic; to say “it does not matter” or “I can’t do anything about it, so why not get on with my own life”. We just move into willful ignorance or even complacency. Another option is to move into despair as we watch helplessly as events move toward their disastrous conclusions. This is the mode of many of us who have discernment and see what is happening but are not in a position of power to do anything about it. For instance, all it takes is keeping up with the news to know of the growing threat of Iran’s nuclear program to Israel. All you need is a minimal knowledge of household finance to know that piling up trillions of dollars of national debt in the long run can lead nowhere good. Or we watch what is happening to our children and grandchildren in an increasingly anti- Christian and nihilistic culture and ask “Can we really do anything about it?” These movements are so huge, so vast and complex that what really can you do about it? Thus we are led either to blissful ignorance, complacency or despair. Yet we are not helpless! And we are not powerless! Those are the lies of Satan or of our culture that keep us on the sidelines, out of our role as Christians in the great drama of advancing the Kingdom of God. 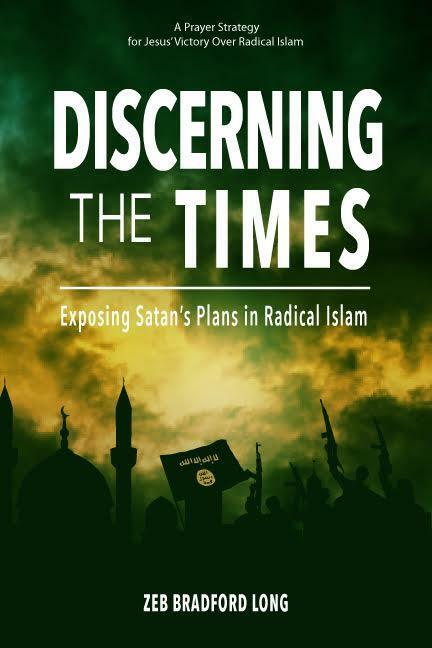 It is the purpose of Discerning the Times, to help us discern the times, that is, what God is doing in the world to advance His Kingdom, so that we may, according to our diverse callings and spheres of activities, cooperate with God in shaping history. We actually have vast authority as called and commissioned to follow Jesus Christ and be His witnesses. We have the Holy Spirit with us who is discerning the times constantly and not only aware of what Satan is doing, or looking way ahead to the consequences of human actions, but is eager to guide us into doing our part, in our spheres of activity, to take part in the Father’s work of overcoming evil and advancing the reality of His Kingdom which is the greatest good. Let me define “sphere of activity” as that is a very important concept with all this. Our call consist of three parts, the first is the content – that is what it is we are called to do. For instance we may be called to raise a family, or be a teacher shaping the lives of young people, or called to run a business that will not only provide for the community but will also give jobs. The second part of call is where we are to do this work. This is our sphere of activity. It is the place where we have influence and can actually make a difference. The sphere of activity is not some abstraction but the very particular children you have, that live in your house, or the kids in your class room. Knowing your sphere of activity is critical because it will be the location from which you have been granted great authority to shape reality; to work with Jesus Christ in His work of defeating evil and advancing the Kingdom. In Discerning the Times we will be seeking guidance to know what God is doing in the big picture but also right down to our own immediate concerns. Now back to how we began! I am convinced that when we follow the guidance of the Holy Spirit and express the authority that we have in our sphere of activity that we will not be on the side lines! We will be a part of God’s working! And we will be a part of the worldwide moment of the Holy Spirit that will shape the great tides of history. Click above to watch Discerning The Times – “Unraveling of Lies” from Dr. Brad Long. 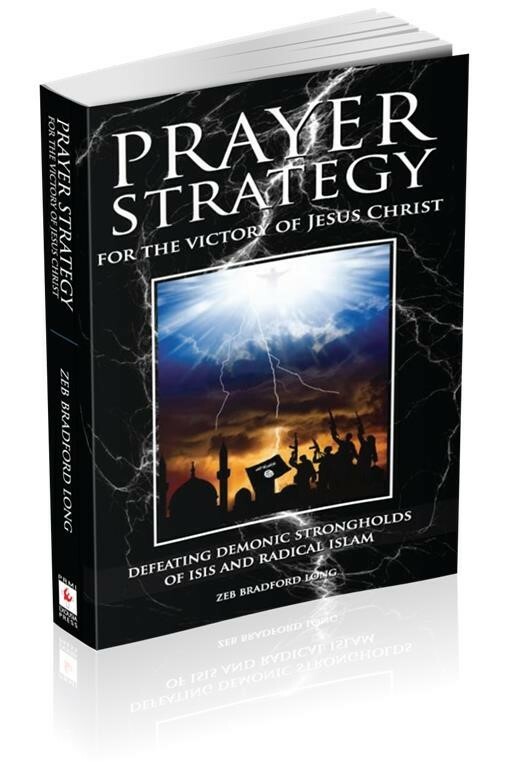 During months leading up to the USA presidential election, I kept getting the guidance to pray that the building of the demonic stronghold that is being established in the ideological building blocks contained in Liberal Progressivism would be exposed and countered. I was intensely aware during this whole time that God is at work building, but also that Satan was building. I was aware that in regards to the stronghold of radical Islam and Iran, that there were great areas of deception being put in place. There seemed to be something strange going on with the attack in Bengasi, and the way that the Obama Administration kept the focus on this Islam-offending video that was supposedly the cause of this riot that got out of hand. Back during the election I kept having a strange image that I want to share with you now as I think it may relate to our present events and may provide guidance as to how to pray. The image was of a reverse knitting motion and the Lord just told me to pray into it. I have observed my wife, Laura, doing this when knitting a hat. When she has gotten the stitches wrong she has to undo her work. I did not know what this meant; in obedience I just prayed into the image. During the past week in the light of several developing potential scandals for the Obama Administration and the situation in Syria and Iran this image has returned. The revelation that the IRS targeted for extra harassment conservative groups. The massive intrusion of the Associated Press by the Justice Department. The growing persecution of Christians in Egypt as the Muslim Brotherhood consolidates its power. As I have been praying these events and the image of the “reverse knitting “in the midst of all this, it seemed to me that the Lord was saying, “pray that the woven lies that are hiding these two strongholds that are working together, Liberal progressivism and Radical Islam, will come unwoven and that their demonic cover will be penetrated. And that the truth will be fully and completely known. The next step for us to pray as intercessors is to ask for guidance as to how we are to pray for the defeat of this demonic stronghold that from all indications is intent on destroying the Jewish people as well as the reality of the Kingdom of God embodied in the Church of Jesus Christ. As unraveling takes place there can be unpredictable consequences. Some may be terrible and dangerous. We need to pray for protection for God’s people and for those Joshua workers on the front-lines.